Foodblogswap time! 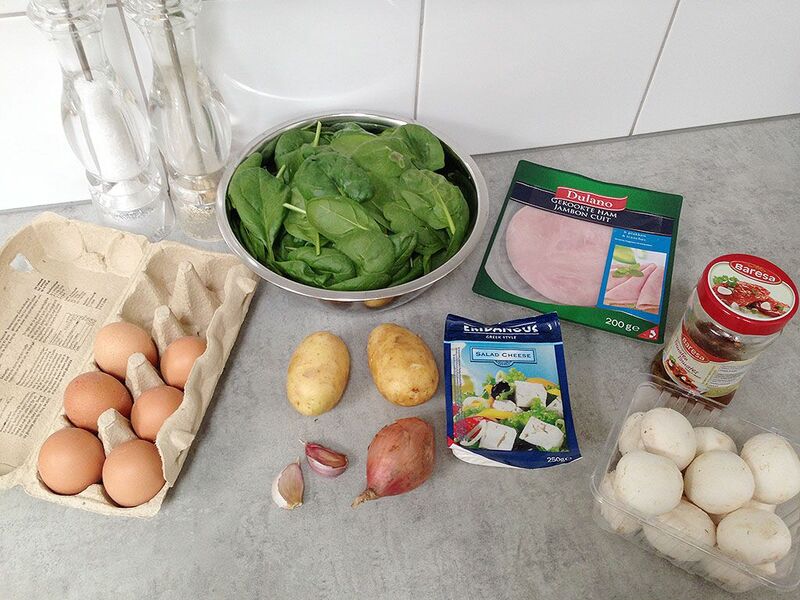 We participate in a recipe swap in Holland, and this month we choose to adapt a frittata made by Tastyhealthycooking. 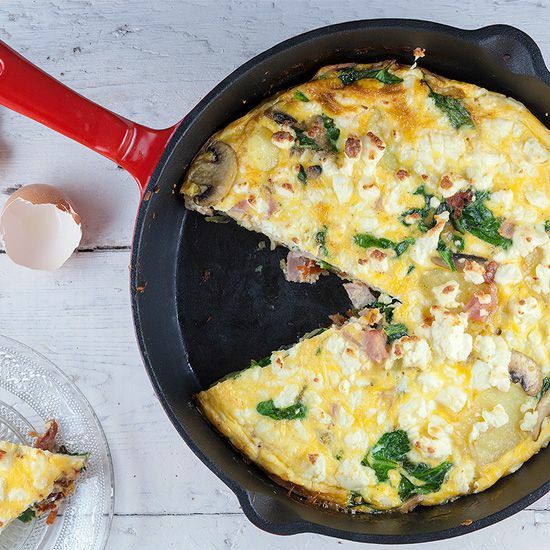 Frittata was on our to do list so lucky for us she has a recipe up on her site! 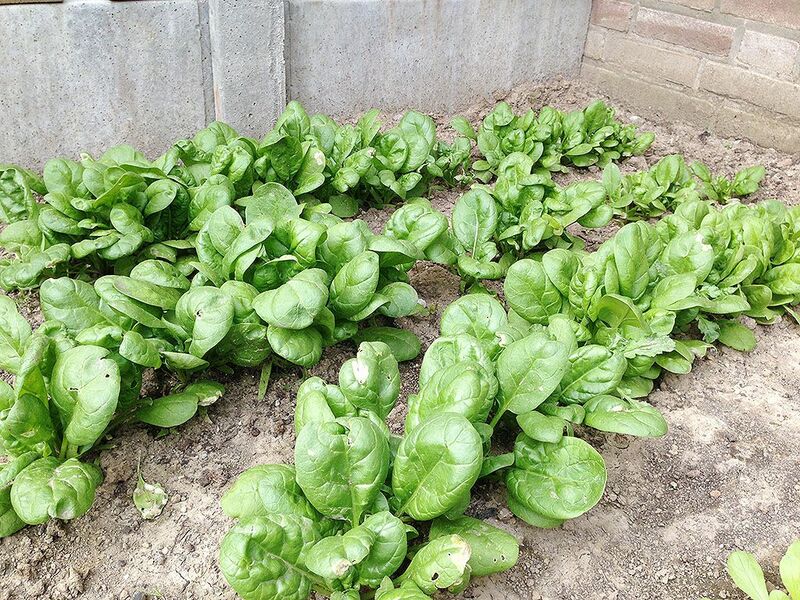 We had some spinach in our kitchen garden that needed to be harvested, so instead of zucchini, we used our fresh and delicious spinach. PEEL and finely chop the shallot and garlic cloves. PEEL the potatoes and cut them into not too thick slices. Use a mushroom brush or paper kitchen towel to clean the mushrooms and cut them into slices. Make sure your spinach is rinsed very well and then dried with a salad spinner. CUT the cooked ham into cubes and the sun-dried tomatoes into pieces. BEAT the eggs in a bowl with pepper and salt. If you have some oil of the jar of sun-dried, HEAT it up on medium low heat. If you don’t, just use regular olive oil. ADD the potato slices and cook them for about 3 to 4 minutes. Then ADD the mushroom slices and after another minutes you’ll add the spinach leaves. You’ll probably have to add the spinach into batches, then also add in the chopped shallot and garlic. 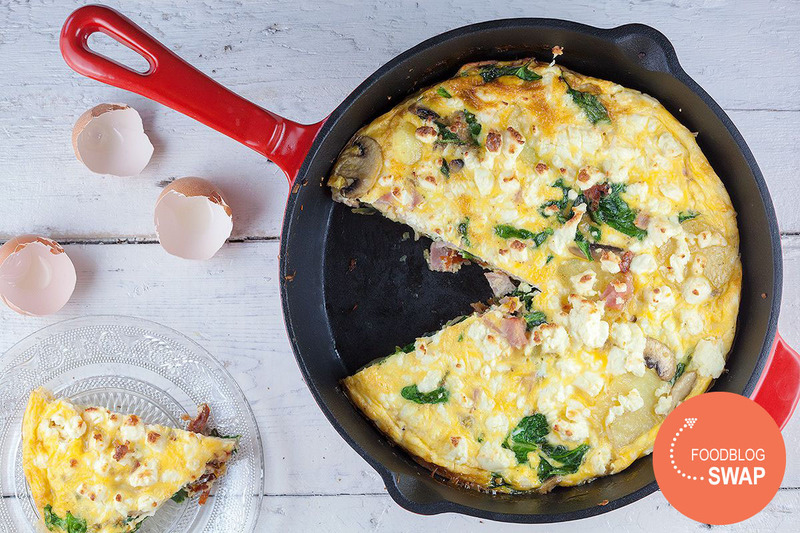 To complete the frittata, add the chopped sun-dried tomatoes and ham and combine. Then POUR over the beaten eggs and crumble the feta cheese on top. PLACE the skillet into the oven for about 10 minutes, or until the frittata is firm. Enjoy with a lovely green salad!